If you have existing hardwood floors covered by carpet, it might be a good idea to refinish them. Costs may be around $3,000 but you should recover 100% of that cost when selling. If you are installing new hardwood flooring, the cost could be around $5,500 and you should be able to net $5,000 back. When you insulate your home, you not only benefit from lower utility bills, but you should be able to recover $1,600 of a $2,100 investment. Replacing your HVAC system is expensive ($7,500+). You should expect to recover 67% of that money back as well as enjoy the savings from a new, energy-efficient system. Siding is another expensive item. It can cost $18,000 or more. When completed, your home will not only have a long-lasting exterior, but you should be able to recover 83% of its cost when you sell. A 16×20 wood deck costs around $11,000. You should be able to recoup $10,000 or 90%. Outdoors rooms are very popular and make living more enjoyable. Ten 3×5 windows cost around $9,700. You should be able to get back 90% when selling! A full remodel on a bathroom is about $30,000. Your recovery on this item when selling is only 50%. However, a new bath is an important room to buyers. A minor bathroom remodel might be better for you. This cost will come in around $11,000 and the recoup rate is 102%. For a $35,000 investment expect to recover $20,000 or 57% of your cost. Again, the recoup is not as high as other projects, but home buyers do desire up-to-date kitchens. This project is a big one and can cost $40,000+. Expect to recover 63% when selling. Need help with your home-improvement project? Contact Sibcy Cline Home Services for recommendations of vetted vendors. One of the biggest areas for spring cleaning is the kitchen. Cleaning a refrigerator both inside and out doesn’t have to be a time-consuming process as long as you plan ahead. Slowly remove items as they’re used – without replacing them – so that there’s less clutter to take out. Once your fridge is decluttered it will be a lot easier to remove all of the shelves and drawers and give them a good scrub without having to spend a lot of time removing and replacing food and drink items. The bathroom is another area that requires a deeper clean over a given time. For showers with grout, it may be wise to first rub the affected areas with a high-grit sandpaper to clear off the top layer, and then carefully apply bleach to those stained areas to ensure there’s no leftover mildew. Once this is done, allow some time to dry and then apply sealant. For faucets and shower heads covered in soap scum, scrubbing with balled-up aluminum foil will clear off debris with ease, without scratching the metal. Spring cleaning isn’t just about getting at the “problem areas.” You need to address less-considered parts of your home as well. For instance, countertops and cabinets can get a little dirtier than people might expect and cleaning them off with a high-power cleaning product, then sealing them, can help them stay much cleaner for years to come. Here is a tip on cleaning windows: clean them on a cloudy day. Sunlight won’t dry out cleaners when applied, making the wipe-down more effective. Need help with your spring cleaning efforts? Contact Sibcy Cline Home Services. They can put you in touch with local vendors to help get your home clean top to bottom. Heating and cooling systems should be professionally maintained twice yearly. On a monthly basis, be sure to check the filter to see if it needs to be replaced. Maintain a clear pathway in your drains with this monthly activity: Pour one tablespoon of salt down the drain, then slowly pour one quarter cup of white vinegar. Let this set for one hour and then flush with hot water. For more serious clogs use a drain snake to pull debris out. Be sure to flush thoroughly with water. 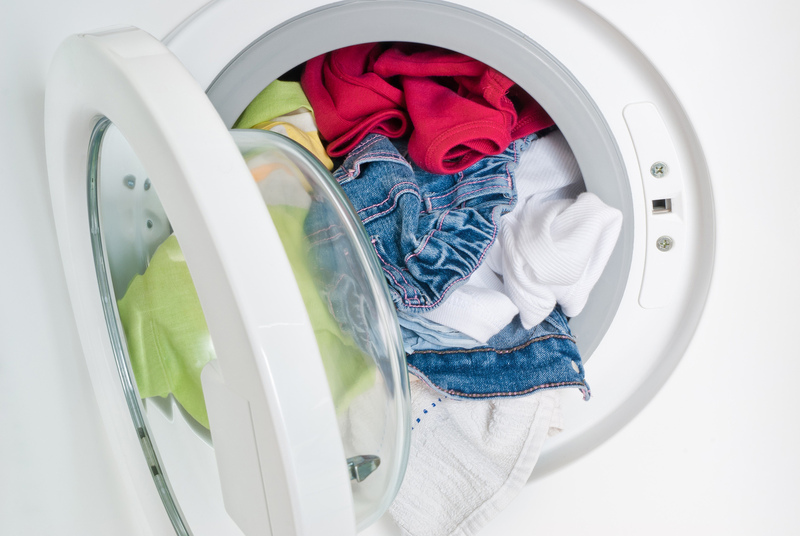 Flush out the disposal on a monthly basis with hot water and baking soda. This will eliminate odors and avoid chances of clogs in the system. To clean the teeth of the grinding blades, drop in a half dozen ice cubes along with a couple of lemon wedges. Run cold water into the disposal for a minute until the wedges are ground up. The ice will clean the grooves of the blades and the lemon freshens the disposal. 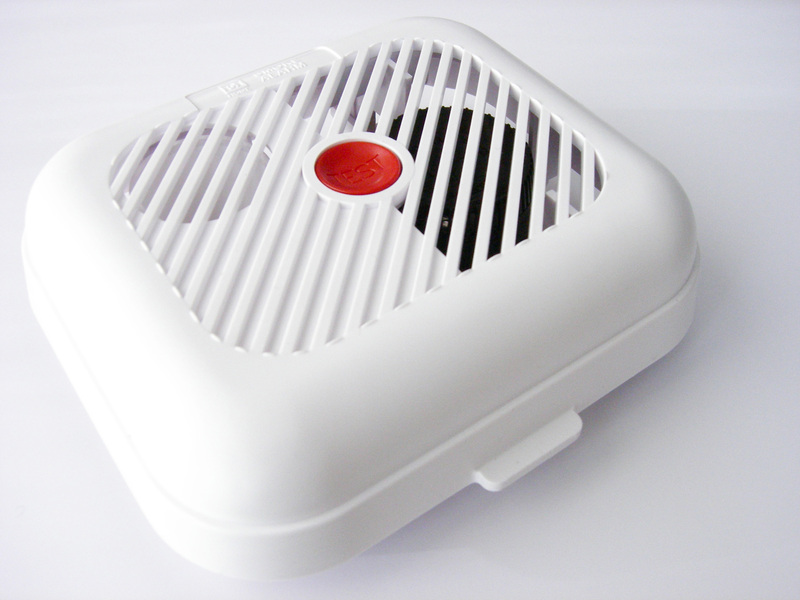 Replace smoke detector batteries twice a year. Flush the buildup in your hot water heater twice yearly. Remove lint from the exhaust duct once a year. Once a year, vacuum the refrigerator coils underneath this appliance. The chimney should be inspected and cleaned every year. Need help with your home-maintenance needs? Contact Sibcy Cline Home Services. Are you prepared the next time you need to repair or replace the heating, ventilation or air conditioning in your home? The average cost of an air conditioning unit repair is $320 – with some repairs costing as much as $900. The replacement of entire HVAC systems can can cost an average of $3k-5k. With a home warranty, however, homeowners can offset many of the costs of HVAC repair and replacement. HVAC is an expensive part of the home. When homeowners tackle this project, they aren’t just paying for the replacement or repaired unit alone – they are paying for the labor as well. While a standard home warranty covers many expenses associated with homeownership, there remain certain HVAC-related components that could be uncovered. For complete protection, homeowners should purchase the Premier Upgrade Package. PUP extends basic home warranty coverage to include additional HVAC elements, so the homeowner will be less likely to encounter non-covered charges when repairing or replacing their HVAC units. From malfunctioning pumps to high electric bills, blown fuses and leaks, the complicated HVAC systems we’ve come to rely on can lead to serious headaches for homeowners. With an HMS Home Warranty and additional PUP coverage, though, HVAC repairs and replacements won’t break the bank. If you need more information about home warranties, contact Sibcy Cline Home Services. They can put you in touch with the local contact for HMS Home Warranty. Brought to you by our preferred Partner, HMS Home Warranty. HMS is an industry leader with over 30 years of creating success for clients and providing peace of mind for customers. Which Kitchen Design Elements are Best for Buyers? Homeowners and sellers who hope to upgrade their kitchens should bear in mind design trends for 2016. This year buyers will be looking for kitchens that are sleek with smooth lines and an efficient use of space. If you plan to replace your cabinets, countertop or appliances, look for materials and products that are streamlined and subtle. Simple, yet elegant, design elements can be a sign of luxury. This sort of modern look can go well with a pared down color scheme. A minimalist kitchen with sleek lines, a neutral color scheme and simple features will attract plenty of buyers in 2016. Speaking of minimalism, white, grey and black will be the kitchen colors of 2016. Pair your sleek kitchen with simple colors to get the most out of the minimalist designs that will be popular among buyers. Painting the room with neutral colors requires minimal spending and work, and can substantially improve the appearance of the space. This can be a great option for someone who doesn’t want to completely overhaul the kitchen, but would like to update the kitchen with minimal investment. A neutral color scheme may be the least expensive way to update the kitchen, but pairing a fresh coat of paint with function and efficiency will make the kitchen even more attractive. For example, look for ways to add storage to your kitchen, or use kitchen organizers to reset the pantry making it appear more spacious and easier to find ingredients for meal preparation. Additionally, you may want to find ways to subtly integrate technology into your kitchen. Smart homes are the wave of the future. If it is a pragmatic addition to the kitchen, and is in keeping with the simple and sleek design elements buyers in 2016 will love, then consider working it in with your cabinets or countertop. Design elements that came about during the recession, such as open cabinets and reclaimed wood, are no longer appealing to buyers. This year kitchens will grow more streamlined and increasingly functional. This is the sort of kitchen that homeowners and sellers should be striving for, to get the most interest and best return on their investment. In fact, as far as home selling tips go, giving buyers what they want out of a kitchen is a big step toward a sold sign on your front lawn. Need help with your kitchen remodel? Contact Sibcy Cline Home Services.